The North Carolina PTA will be collecting snowflakes and making a big delivery from North Carolina citizens to the Connecticut PTSA. We thank everyone who has inquired about ways to show support. Consider setting up a creation station in your community to help the PTA family create a winter wonderland for children from Sandy Hook Elementary. Be creative and remember that every snowflake is unique. Read more about this project coordinated through the Connecticut PTSA. We will accept delivery of snowflakes after the holidays from January 3-8, 2013. Organize a fundraiser or make a donation. 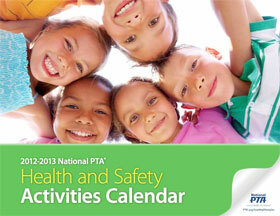 National PTA continues to provide resources and updates at www.pta.org/sandyhook. Thank you to all the parents, educators and community members who continue to reach out at this time. Sandy Hook Elementary will continue to need our ongoing support. NCPTA will remain in touch with National PTA and Connecticut PTSA, and we will provide you with updates and requests. The North Carolina PTA and NC Action for Healthy Kids announce the second Team Up for Healthy Learning event focused on health and effective ways to work together on school wellness. Make plans now to join us February 9 for our next event in Raleigh at the Emerging Leaders Conference. Highlights include a special appearance by an NFL player, fitness activities, tasting stations, grant writing tips for school projects, and announcements about grant opportunities for conference participants. National PTA feels enormous sympathy for the students, families and communities affected by the horrendous tragedy at Sandy Hook Elementary School in Newtown, Conn., today. Our country has experienced far too many of these tragedies, and we all share in the sense of loss and hurt. School and child safety is one of PTA’s core tenets as it is crucial to effective learning. A traumatic event like that of this morning affects the entire community, especially the families and friends of the victims. This can be an emotional time, and it’s important for people affected by this tragedy to connect with and support each other. National PTA has many resources to assist students, families, schools and PTAs in coping with school violence. The resources are downloadable at PTA.org/SchoolViolence. National PTA believes the protection of children in all school settings is a fundamental right and has made this the utmost priority for our work and advocacy. National PTA invites student entries each year for a Reflections Theme Search. The student who submits the winning entry for 2013-2014 will receive $100, and his or her theme will be presented at the 117th Annual National PTA Convention and Exhibition. During November, which is PTA Healthy Lifestyles Month, the North Carolina PTA selected eight PTAs to receive $1,000 Just ASK! grants. The recipients will receive funds to support projects that will be implemented by the end of May 2013. This is the first cycle of grants provided through Just ASK! Future grant application opportunities will be announced Saturday, February 9 during the Team Up for Healthy Learning sessions at the NCPTA Emerging Leaders Conference in Raleigh.